How IoT is Enabling Core Industries? The information technology landscape is not new to disruptions. One such disruption that is billed as the true ‘new normal technology’ is Internet of Things (IoT). The ramifications of IoT are many and it is such that it will impact both the enterprise and consumer side of things. According to IDC, the worldwide market for IoT solutions will grow to USD 7.1 trillion by 2020. With such impressive outlook, the key question now is -are we ready for this disruption? Service providers of all hues are building competencies in IoT and building scale to meet the growing demands. Experts also say that IoT escalation is due to the firming up of the technology into a well-defined ecosystem. The technologies at the heart of IoT are not new. We’ve had sensors for decades. Many of the short-range wireless technologies such as Bluetooth are also not new. But traditionally, these capabilities have been used for isolated systems, for example with building automation. What we see as the promise of IoT is the ability to leverage and combine data across different types of systems and then apply machine learning and other predictive analytics to create rich capabilities and experiences. So, for example, a connected vehicle would be able to plan a journey based on its driver’s preferences, the predicted traffic conditions, as well its own refueling needs. According to experts, India aims to capture 20% of the total global market share of IoT. Growth in this market is anticipated due to ongoing technological developments, advent of next-gen platforms in IoT for providing better connectivity and coverage along with real-time monitoring and tracking of services and systems across industries in order to reduce operational and human cost. IoT is a multi-disciplinary and multi-technology requirement. Enterprises in India are exploring the IoT technology adoption as the enterprises across the world. The landscape for technology providers in IoT is very vast and fragmented. An ecosystem integrator can help enterprises convert the use cases into business case. We see this as an opportunity to work with clients in India. As with the rest of the world, there is an opportunity to co-innovate, in areas those are very challenging especially in Industrial IoT. The compelling need for IOT is clearly evident as we look at the kind of operational efficiencies it brings to table. As enterprises transform into digital businesses, the need to find ways to improve efficiencies, generate new forms of revenue and deliver new and exciting customer experiences will be the tipping point for enterprise IoT to really take off. It’s not going to be an easy journey, though – especially for developers. These new devices need to talk to each other, but in order to have a purpose, they need applications and those applications take time to build and manage. In fact, manageability is a key issue and developers are faced with integration challenges on an hourly basis. Specifically, for organizations that want to deploy IoT apps across multiple gateway vendors and those that wish to buy solutions that are not locked into a single silo, IoT can be the bane of one’s existence. India has two plays in IoT. First is the business opportunity of IoT and second on talent availability and ecosystem that is being leveraged globally. IoT business opportunities in India are just beginning. Consumer has been a slow start compared to the other developed countries and it is only recently that Mi and Fitbit are pushing in a big way. Indian startups like SenseGiz, GetActive, Fin, Lechal have been early movers in the Indian wearable space, but they will now face stiff competition from the global brands. Smart Grid has been slow to take off, with one major deployment in State of Maharastra. GPS enabled telematics for fleet management, for cabs, trucks and school buses have seen major action. Industrial adaptability has been slow and Smart City is on the starting block with huge potential. Among other emerging technologies, IoT is one promising technology that can help Indian enterprises raise the bar for productivity and efficiency to a different level. A recent TechSci Research report on the IoT market in India predicts that the IoT market in India is projected to grow at a CAGR of more than 28% during the period from 2015 to 2020. Moreover, the Digital India mission is positively driving various government projects such as smart cities, smart transportation and smart grids etc. which are also expected to further propel the use of IoT. More than ever before, the emergence of IoT will require CIOs to be a partner in shaping and executing business strategies. With the potential for disruption to existing business models, many organizations will be susceptible to new competition from players in adjacent spaces, including existing partners and from start-ups. The CIO will need to help seed ideas, collaborate in defining an overall IoT strategy and ensure that the organization has access to the necessary capabilities to execute this strategy. The CIO has to ensure that funded IoT initiatives have a clear business case – in terms of operational efficiency and/or new revenue opportunities. This may include considering how connected products can be monetized and how the value of IoT data can be leveraged. More than having a long-term roadmap, experts say that it is more beneficial to take an agile approach, which facilitates rapid cycles of experimentation and evaluation. Experts also say that many of the organizations they work with are creating cross-functional and multi-disciplinary groups focused on rapidly developing and evaluating prototype products. Clearly, IoT is the next step in connectivity evolution. It brings people, machines, data and organizations together in a large ecosystem. CIOs need to play a significant role in enabling IoT in their organization with advanced support, equipment, infrastructure and skill sets. IoT is reshaping enterprise IT, requiring CIOs to be more visionary, more collaborative and more business-minded. According to experts, IT-OT integration, which means instead of having separate IT (information technology) and OT (operational technology) system, there is an integrated process and information flow, while the CIO and engineering organizations need to define road map for the organizations. IoT is having a significant impact on the OTs and in the way IT operations is monitoring them. CIOs and IT leaders need to adapt skill sets, processes and tools to monitor IoT availability and performance in order to support business initiatives. CXOs are realizing the interplay and potential of IoT, Cloud and Big Data technologies. These topics are increasingly taking center stage not as part of the IT strategy, but also the business strategy and business enabling IT. How is IoT Disrupting Core Industries? The proof of the pudding is in eating it. Let’s see how IoT is impacting various verticals. Experts say that there are tremendous opportunities that are going to be created for services industries across sectors including auto, retail, energy and utilities, telecom, healthcare etc. 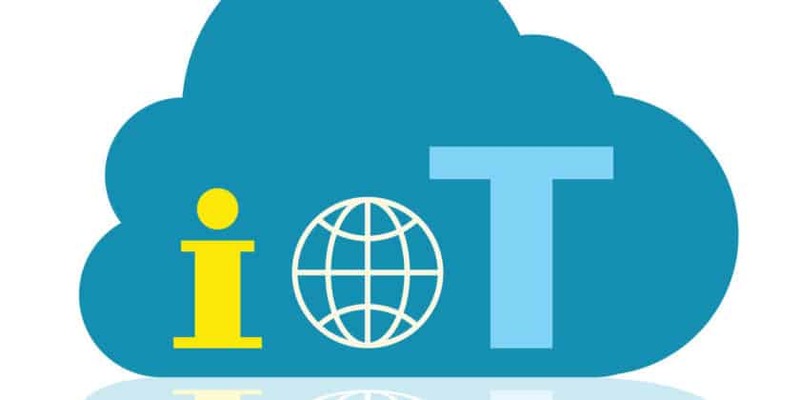 IoT is creating the ecosystem of connected devices such as mobile phones, laptops and desktops now include ATM machines, gas pipelines, street lights, transportation vehicles and even the soil that is used for agriculture. IoT would not only help services industry in reducing costs but also prevents in downtime of machines, improve the efficiency of the entire value chain, decrease energy consumption and improve customer service. It would also create the automation opportunities where human intervention is difficult due to hazardous environmental conditions. In healthcare, it would create the opportunity of remote patient monitoring that would change the dynamics of healthcare treatment. Usage based insurance using wearable or dongles can change how insurance companies are designing their policies – both in life and non-life insurance domains. But IoT will have its say on each and every vertical in more ways than one. Experts believe that the impact of IoT for many industries will be along two dimensions. The first of these is increased operational efficiency. Organizations which leverage IoT to gain better visibility and control over their supply chains, assets and operational processes stand to be more agile and efficient. For example, in capital intensive industries, the ability to predict when key assets may fail or degrade can prevent unexpected disruptions to business. The second more exciting dimension is that for some industries, IoT presents an opportunity to fundamentally transform business models and customer experiences, potentially creating new revenue streams. Manufacturers for example, can analyze the data from their connected devices to better understand how those devices are functioning and being used. These insights could be used to continually evolve their products – even the ones that have already been sold or leased, via the ability to push firmware or software updates. We are currently at the ‘rapid adopter’ stage, when consumer devices are just beginning to reach the mass market. For example, we’re seeing great success with the adoption of fitness-related wearables, which are part of the IoT. There are barriers to adoption that need to be overcome, including the cost of devices (which is coming down quickly), education, interoperability and security. From a B2B standpoint, the adoption of technologies and services related to IoT has also risen within the small and medium business markets; and larger organizations that were not early adopters. Industry consolidation is a key driver for wider IoT adoption, especially as market participants via strategic alliances. The Internet of Things will gain a lot of momentum as small, medium and large businesses begin to invest more in IoT technology and services. The outlook for IoT’s growth ahead is very optimistic. For instance, according to a Gartner forecast, it said connected things in use worldwide will reach 20.8 billion by 2020. Services are dominated by the professional category (in which businesses contract with external providers in order to design, install and operate IoT systems). However, connectivity services (through communications service providers) and consumer services will grow at a faster pace. How IoT is Enabling Core Industries? 0 out of 5 based on 0 ratings. 0 user reviews.